Welcome to paradise. 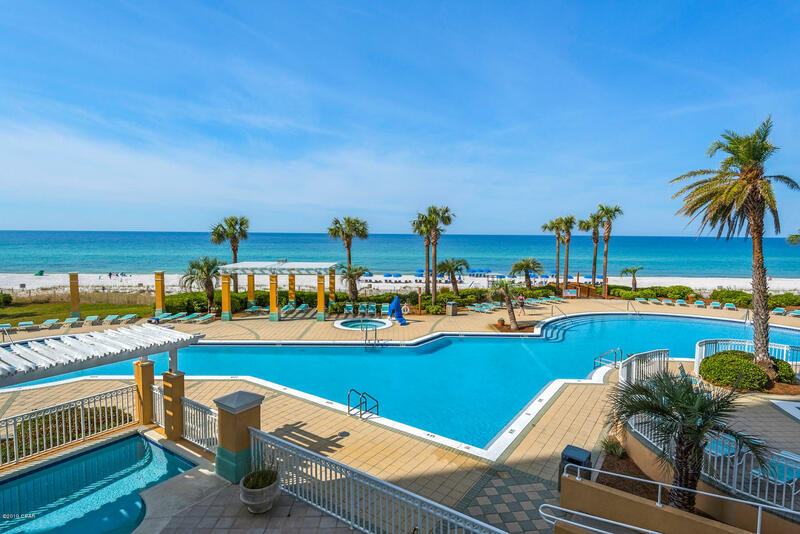 This low floor condo has a massive wraparound balcony with amazing views of the beach/ gulf as well as thepool. This unit is over 2300 sq ft has 3 large bedrooms each with itsprivate bath. Master suite as balcony access and large bath with dualsinks, large tub and separate shower. The kitchen is open to theliving room with walls of windows facing the beach. Open the doorsto bring the smell and the sound of the waves in. This unit is a mustsee. Great rental income possible as well. BUYER TO VERIFY SCHOOLS, MSMTS, TAXES, HOA, ETC. NO REPRESENTATION TO VALIDITY OF INFO IS MADE. BUYER TO VERIFY ALL INFORMATION WHEREIN. HOME SOLD AS IS WHERE IS.